Opening Night of the Spokane Indians' 2017 Northwest League season is Thursday. With kids finishing their school year and summer in full swing, no doubt you need some entertainment options at the ready. Our event listings and Staff Picks are here to help. COMMUNITY | An intriguing discussion happening at the Coeur d'Alene Public Library, as a panel including activists and historians will tackle "The Role of Blacks in Idaho." OUTDOORS | The South Hill Library hosts a representative from the Washington Trails Association; she'll drop some knowledge about "Hikes in the Spokane Area." A perfect primer for summer, and it's free at 6 pm. WORDS | Author and Holocaust survivor Marthe Cohn drops by the Spokane Convention Center for a talk. The 97-year-old, whose sister died at Auschwitz, was a spy and a much-decorated war hero, receiving France’s Croix de Guerre and Médaille Militaire and even the German Cross of the Order of Merit, nearly 70 years after her exploits. Cohn, who in 2002 wrote Behind Enemy Lines: The True Story of a French Jewish Spy in Nazi Germany, will share her lifetime of experiences in a talk presented by Chabad of Spokane County and the Jewish Learning Center. FOOD | Time for another Fried Chicken & Beer night at the Yards Bruncheon, where you can dig in to tasty grub prepared by Chef Adam Hegsted, and this time the chicken comes with a series of Perry Street Brewing beers. FOOD | Crave! NW kicks off its weekend full of tastings and celebrity chef showcases. It all starts with a Seafood Bash tonight. Read all about the event in our story. 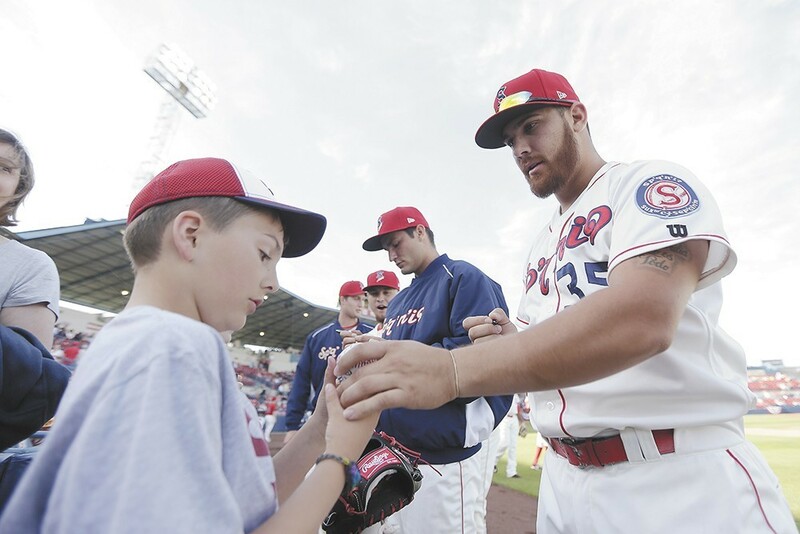 SPORTS | It's opening night of the Spokane Indians season! They play Boise at 6:30 pm. Finally, summer is truly here. LIVE BANDS | Unifest is hosting a launch party for its July festival with a mighty fine show at the Bartlett, including Lavoy, Nat Park & the Tunnels of Love, DJ Unifest and more. FILM | Enjoy the works of talented young filmmakers as the Best of EWU Film screens at the Bing. FILM | The New York Dog Film Festival takes over the Magic Lantern this weekend, raising money for Spokanimal as part of its 15-city tour. COMMUNITY | Local arts fest Bazaar has a new home this year in the Parkade Plaza, but the cool crafts and vibe will sure still be part of the event. FESTIVAL | It's hard to tell exactly what Adult Swim On The Green will entail, but I trust Adult Swim to entertain me on a regular basis via its TV shows, so a festival seems a-OK by me. And it's just $5.